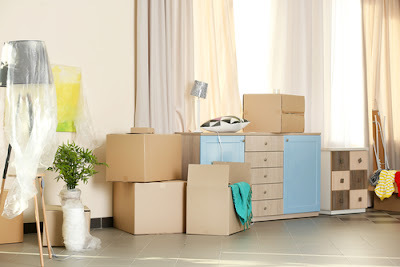 Moving can be a difficult experience and what’s more is the fact that hiring a moving company can be very scary especially when you do not know what to consider while hiring a mover. House movers can vary based on experience, prices, and many other factors. Reliability is what everyone looks for at the end of the day. So how does one select the ideal house mover so that all difficulties of moving house are overcome and taken care of with ease? 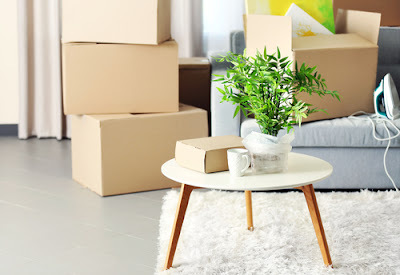 Read on to find out the most crucial things that one must keep in mind while hiring a house moving company that will allow you to effortlessly finish your house moving. Friends or colleagues who have experience in moving as well as local real estate agents can be a great source of wisdom when dealing with such moving issues. It is important to understand that companies with big names are not necessarily the most reliable ones. Look in your local yellow pages and get in touch with a nearby mover so that you can get a rough price estimate. It is not recommended to accept any estimate unless the mover has gone through all the items in your house. While the internet can be a storehouse of good information, it is not necessarily the most reliable because of the various scammers that lurk online and it would be wise to not look for movers online. As soon as you’ve found a mover that you plan on hiring, it would be a wise thing to do a bit of snooping in order to gain information based on their past experience in moving as well as any possible complaints that have been registered against the company. This is simply to ensure reliability and flawless experience of moving so that you do not have to worry about your belongings. You can also check with the local moving associations and boards to check if the company that you are planning of hiring is part of it in order to learn the laws that the company is bound to. When the estimator arrives, it is important to show him all the household items that you possess including the stuff in your attic and closet. On the day of moving, the company can challenge you if you have significantly more stuff than you had initially shown. But they can only challenge you before they take all the stuff to the truck and not after. Get as much information about the company as you possibly can when the estimator is at your home. The information you should have by the time he leaves is the company’s number, address, email address, their references as well as any other name that the business may run under. Make sure that you review the estimate because the estimate is the bond that the mover is bound to. Make sure that the document has all the legal procedures in check including the mover’s signature at the bottom. Ensure that all details of the cost are included in the document and that there is no space for any loopholes so that no loss is incurred later. In such things, it is crucial to keep in mind that it is always better to be safe than sorry. If you do not understand anything that is in the document, then it is wise to call and ask. If you feel that it is necessary, feel free to request for another revised and written estimate. Once you have received all the necessary documents and estimates, it will be wise to keep them stored in a bright colored file so that you do not lose the documents or the file easily and so that you can always find it when you need a quick reference of some sort. Furthermore, it is always considered wise to keep legal binding and business documents well organized as it can be of importance or necessity at any point in time. Check for the competition's prices as they may give you a better offer. If you do not understand anything then it is wiser to call and ask. Keep an eye out for reputable companies that are willing to bid and do not worry about bidding to get the most reasonable price. If the market is big, then it is important to realize that there is higher competition which will allow you to bargain for the best possible price. By doing this, you can shortlist quite a few companies and then do another check on them online. This will enable you to fully understand how reliable a company seems to be as well as their history of making deals in terms of moving. One important thing to keep in mind that all businesses are a thing of legal consent and it is important that the party involved must have a legal license as well as insurance. The reliability of a company has largely to do with their legal state and their insurance availability. This can let you know how well a company is really doing and what the company may be trying to hide from its clients. Once you check for background information and various legal associations and involvements as well as the different legal, insurance and estimation related documents, one can truly feel confident about the company that is chosen for the job. Once the company is chosen, noting down the dates as well as the details of the move is the next best course of action. Ensure that you have an inventory list so that you will know all the belongings that you have entrusted to the mover. Also, give the mover a detailed map of directions to the new home and ensure that you have a number that you can contact throughout the move. 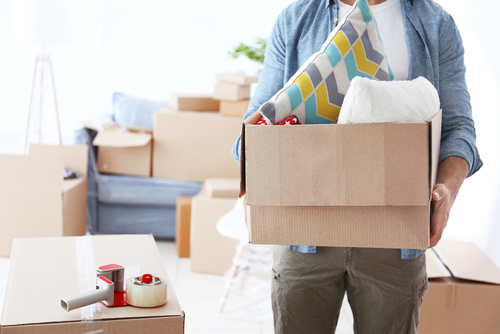 With so many scammers around these days, moving can be a scary thing to even consider. This is why there are quite a few things to consider and reaffirm before finalizing the details of your move. These are involved with the above-mentioned points which are to be considered in order to have a smooth and flawless moving experience. Are you tired with the place that you are currently living and you want to relocate to a different town? If yes then you probably know the stress that comes with relocating to a new place. Most people usually avoid to relocate to a new place because the whole process (from packing to transportation) is time consuming and stressful. 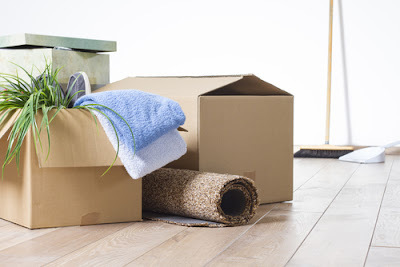 The good news is that there are house moving companies that can help you when relocating to a new place. They have knowledge as well as all necessary facilities needed to help you relocate safely. However with so many house moving companies each claiming to deliver exceptional services, many Singaporeans are usually confused on which option to choose. So do you want to hire a house mover company to help you relocate but you are wondering the qualities you should for when choosing one? If yes then today you are in the right place. Below are 7 important qualities to look for when choosing a house moving company. Moving from one place to another involves a lot of logistics. When choosing a house mover company, it is very important to first take your time and analyze the quality of customer care given by the company that you are considering to hire. One of the best way to know if the company is committed to offer quality customer care services to its clients it by calling the company and see how it will respond to you. Choose a house mover company that is committed to update you on a regular basis on their progress. The company should be honest and always ready to tell you the truth. For instance, if the vehicle transporting your cargo breaks down, the company should call you immediately and explain to you what has happened as well as assure you when you are likely to receive your cargo. Remember that it has taken years of hard work to build your house. You should not allow a reckless company to destroy it in seconds. For that reason, it is always advised that you consider the number of years that the house moving company has been in this business. When you choosing a company that has many years of experience, you will increase your chances of getting valuables transported safely. Movers industry is very competitive in Singapore. As a result companies that don’t offer quality services usually don’t survive being in operation for long. The number of years that the house mover company has been operational, the greater the chances of getting quality services. The state has put very strict laws that house mover company need to meet in order to be licensed. Some of this laws include having the right moving equipment, employing skilled staff among many others. Before you make your final decision, inquire to know if the company has been licensed to operate by the state. Don’t just stop there, take the initiative of counter checking with the relevant government body to verify if the license is legit and up to date. Considering the fact that you will be transporting valuables and fragile items, you need to choose a company that has insured its services. Choosing an insured house mover company means that the company will take full responsibility if they damage or lose any of your items during transportation. What are the views of other people who have used the services of house Mover Company that you are considering to hire? Does the company enjoy good reputation from its previous clients? If the answer is yes then chances are that the company is reliable and efficient. Talk to some of the people who have used the services of that particular company to know their views. You can also visit the company’s website and read independent reviews posted by previous clients. If you are looking for quality services, it is advised that you choose a house mover company that has unquestionable track record. This is very important factor that is often overlooked. Sometimes you may end up choosing a house mover company that does not offer services that you are looking for. Take your time and inquire the services that company offers to see if it suit your needs. For instance, are you looking for a company that only transports your valuables or are you looking for one that does everything for you including packing, transportation and unpacking? Know what you want then look for a company that will give exactly what you are looking for. It is very important to ask for a written quote from house movers that you are considering to choose. Having a written quote will help you know the amount that you are likely to pay when you hire the services of that particular company. Request a written quote from house mover company that you have shortlisted then choose one that promises to offer quality services. It is also very important to choose a company that charges a price that you can comfortably afford. This will help avoid misunderstanding in future. The main priority of house movers is to help relocate people. However, different companies offer different package for their services. It is advised to you compare services offered by various movers company and choose one that offers lucrative services at a competitive price. For instance, it prudent to choose a house mover company that offers free storage to their clients as opposed to one that charges storage fee. In conclusion, choosing the right moving company will determine how safely your valuables will arrive to your new location. It is therefore very important to choose a company that is committed to offer quality services to clients. By considering the factor mentioned above, you will hire a company that will offer you quality services that will leave you smiling.